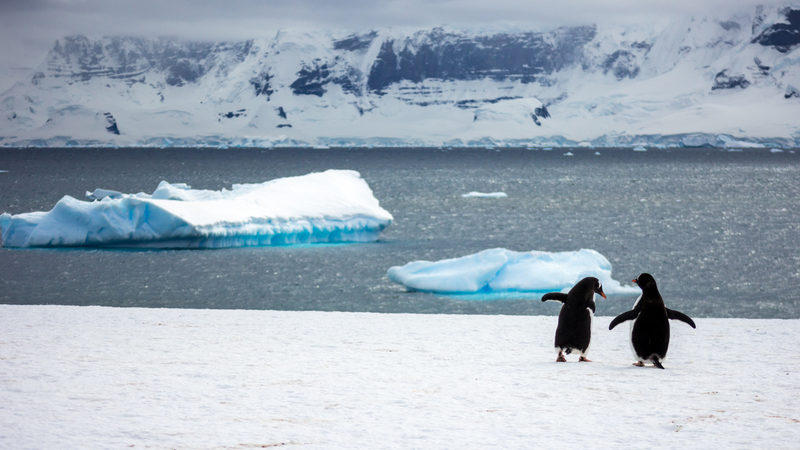 Antarctica and Penguins are synonymous; when thinking about Antarctica these amazing animals will be at the forefront of peoples minds. 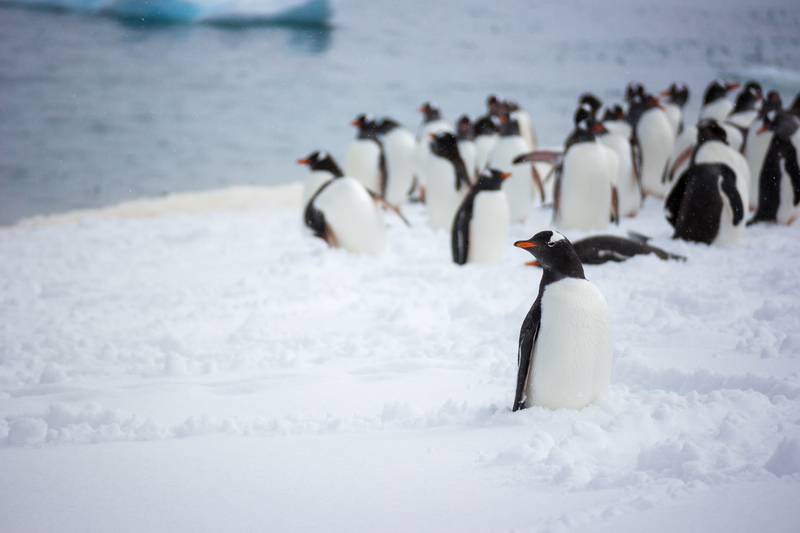 Antarctica is one of the few places in the world that you can see penguins in their natural habitat, and I was lucky enough to witness them in November 2014 during my time there. 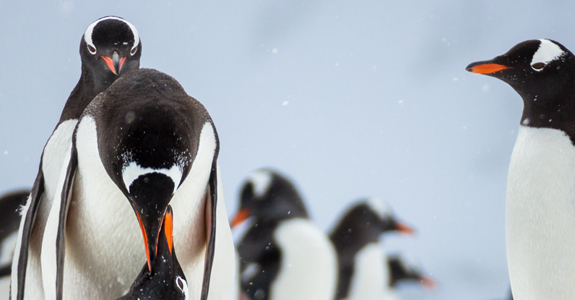 I found them to be infinitely fascinating animals to observe, and it was always a pleasure to watch them and learn more about their habits and routines. 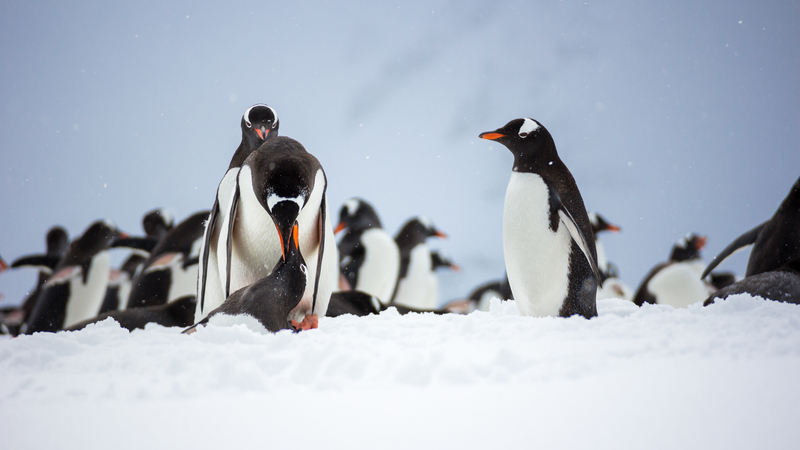 It was so fantastic to photograph the Penguins; it was fun, and really interesting, but at the same time it was a challenge and I felt that I learnt so much more about capturing wildlife, and also knowing how to get the best out of my camera in sometimes difficult situations. 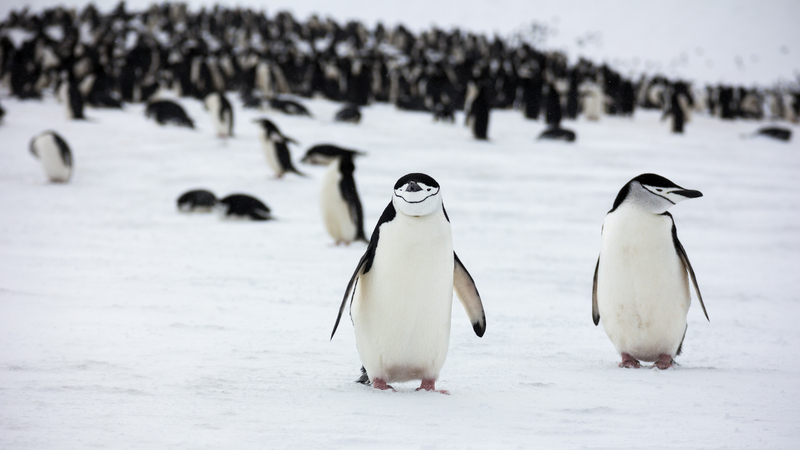 I hope you enjoy the variety of Penguin photos displayed below - It was quite hard to choose a selection. 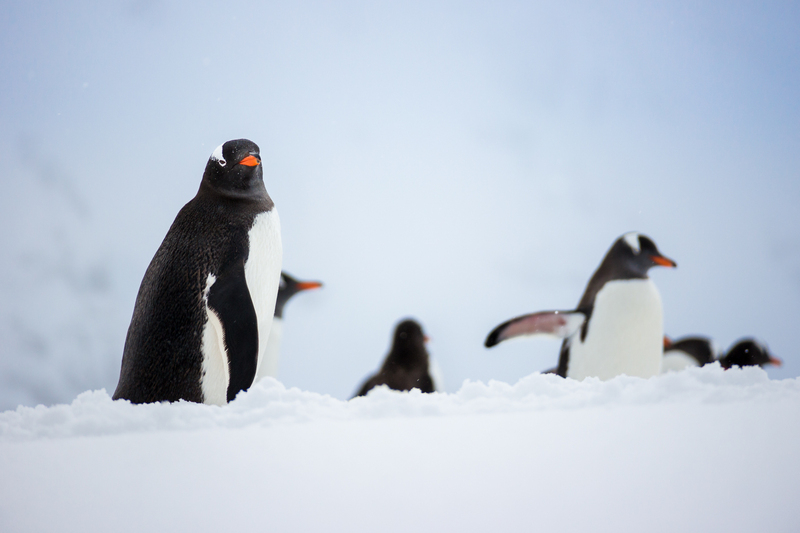 I tried to capture different and unique shots of the Penguins - I didn't want a catalogue full of generic shots that all looked the same. 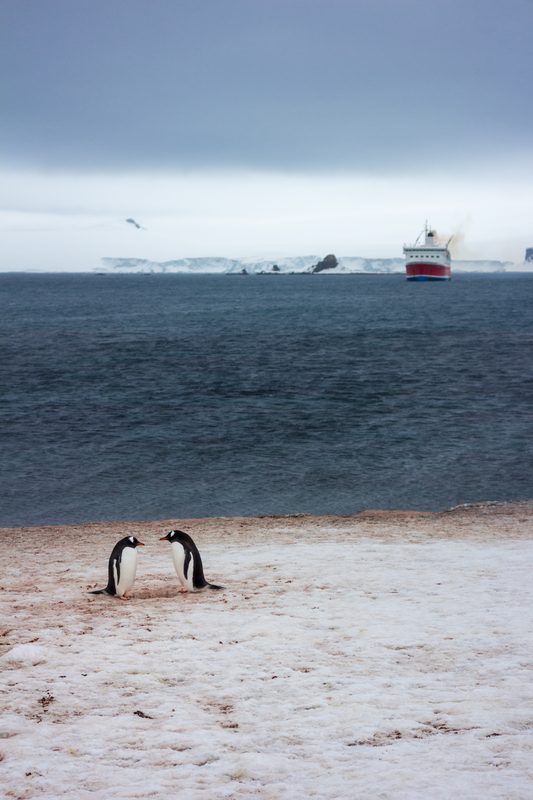 This Gentoo couple were stood apart from the others on Cecillia Island, and the ship and sea created a perfect backdrop to frame them against. 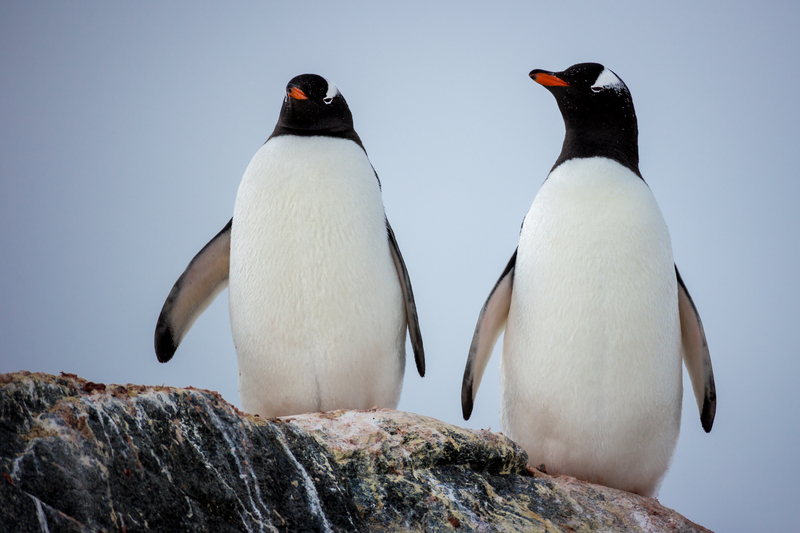 It is said that Gentoo Penguins make as many as 450 dives a day for food, and they spend most of the day foraging in the immediate waters around their nesting sites. 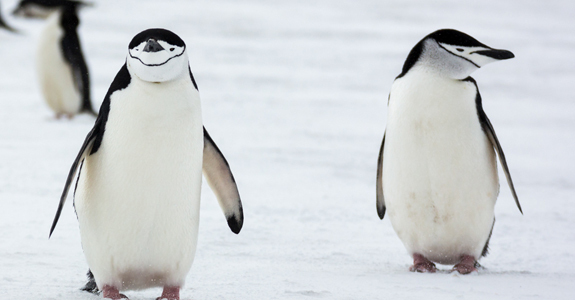 Their diet includes Krill, fish and Squid. 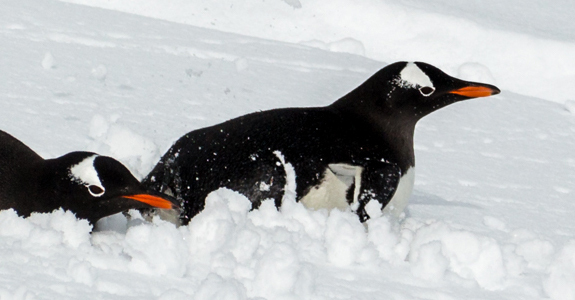 The Gentoo Penguin is identified by it's bright Orange beak and white patches around both of it's eyes, it is the third largest species of Penguin behind the King and Emperor. 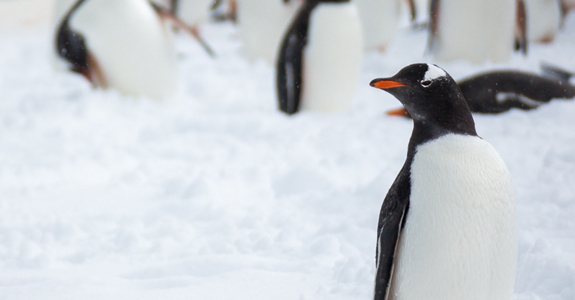 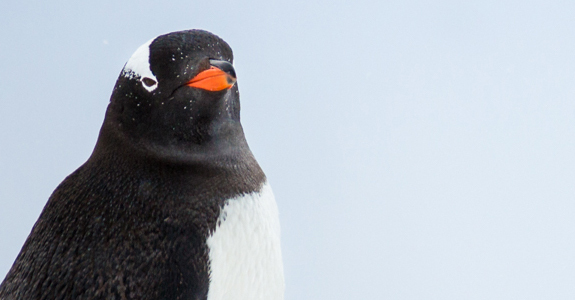 We saw the most Gentoo Penguins during our shore excursions, and the least we saw was the Adelie. 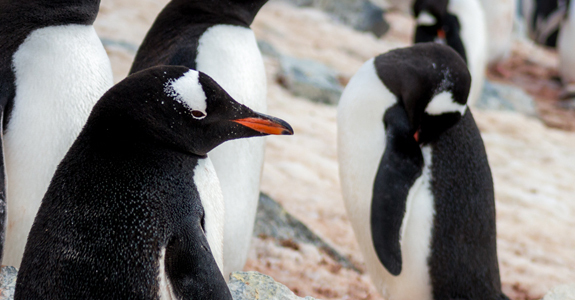 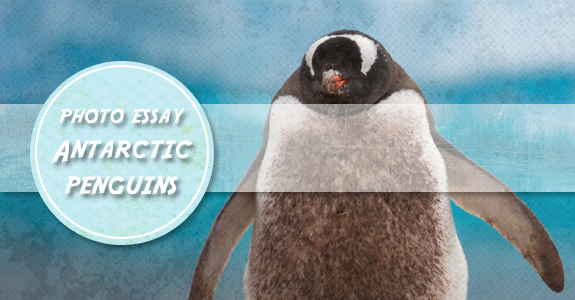 It was Penguin mating season whilst we were in Antarctica and we saw plenty of action! 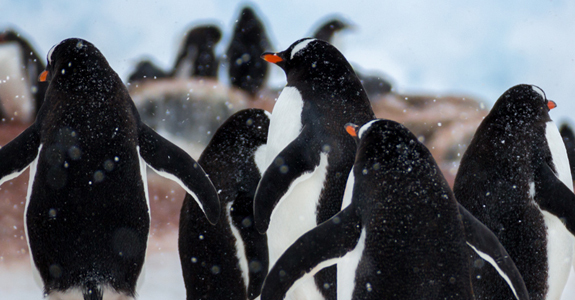 Penguin mating is quite a spectacle to watch - There is little elegance at the start as the male clambers ungainly onto the females back, and it seems as if anyone can watch. 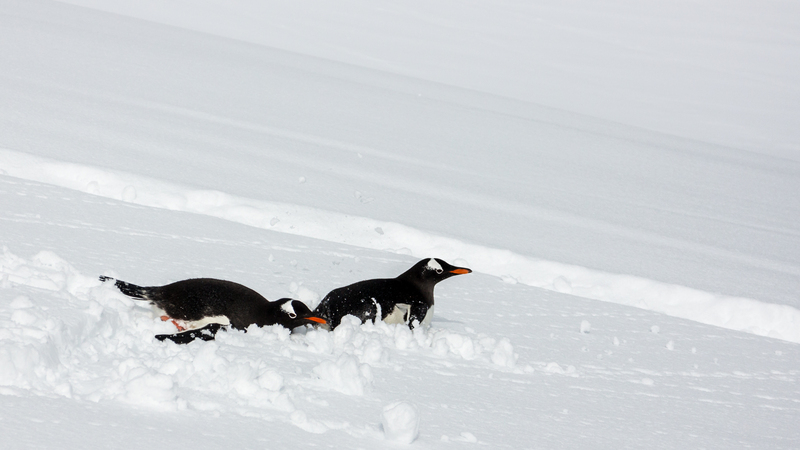 Many of the Penguins conserved energy and slid down or up the mountainsides instead of walking - It looked like quite an effective method of travel! 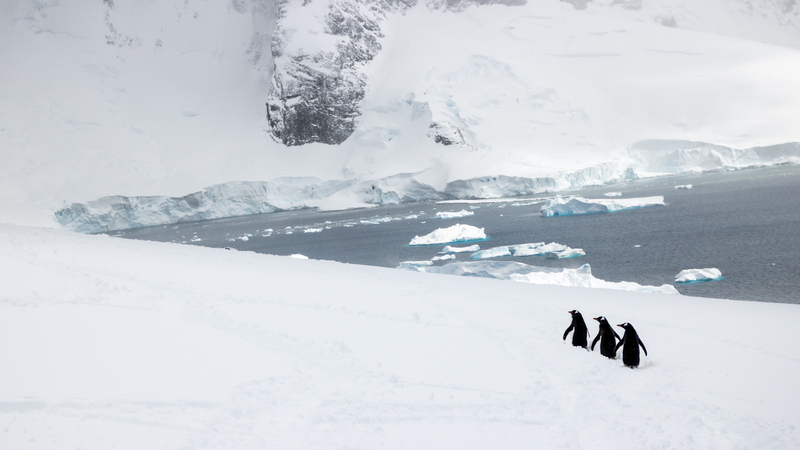 Shots like this just came together perfectly - I patiently waited with my camera in hand, battling against the biting wind and snow, watching this trio of Penguins and waiting for them to line up in a neat row, it was chance that they were all looking the same direction. 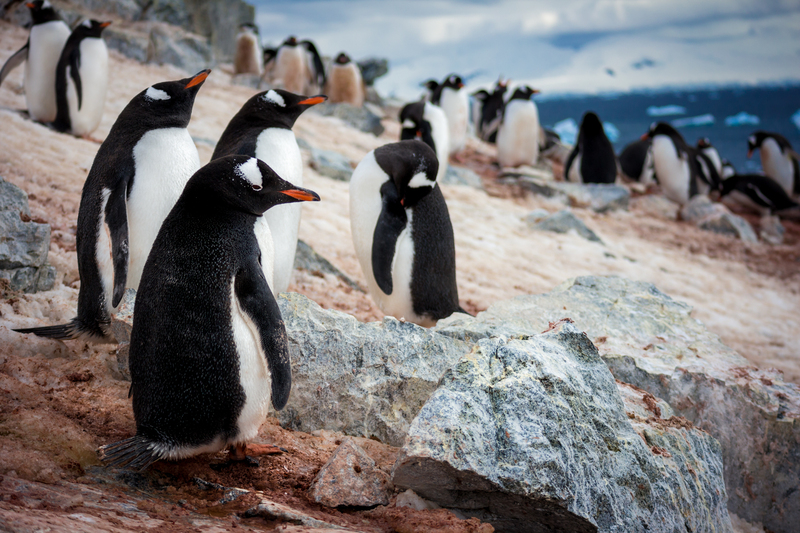 I love the Penguins curious nature and frantic behaviour, they were so interesting to watch and it was amazing when they would gather courage up and come close to our group; What are these strange red Penguins doing? 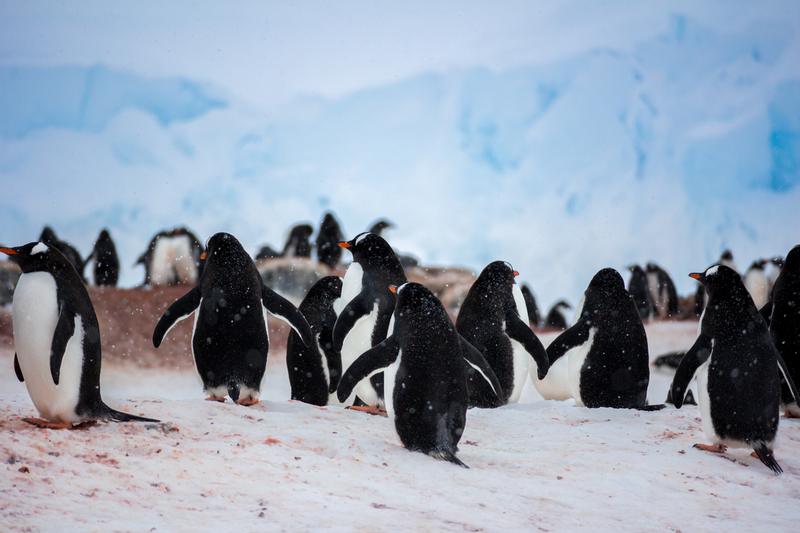 The harsh Antarctic weather did not seem to bother the Penguins at all; the wind, snow and cold were really testing our group with our full expedition gear on, but the Gentoo's didn't seem to mind. 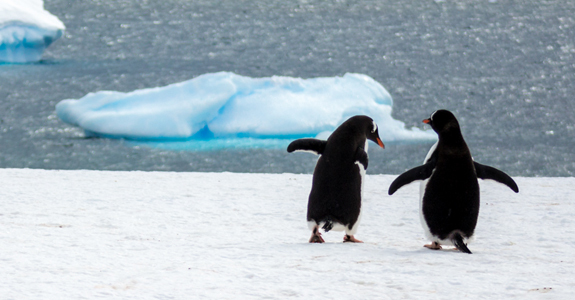 This was another lucky shot, the majority of the Gentoo Penguins on Cuverville island were gathered together on the side of the mountains - This couple were taking a stroll on the ice near the shoreline. 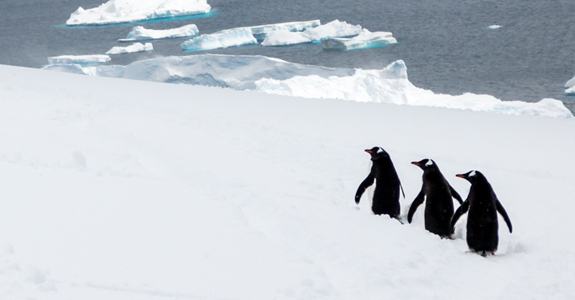 The Penguins were not really phased by human presence - They did take note if you made sudden movements or were too loud, but generally they were simply happy to observe us and carry on with their business. 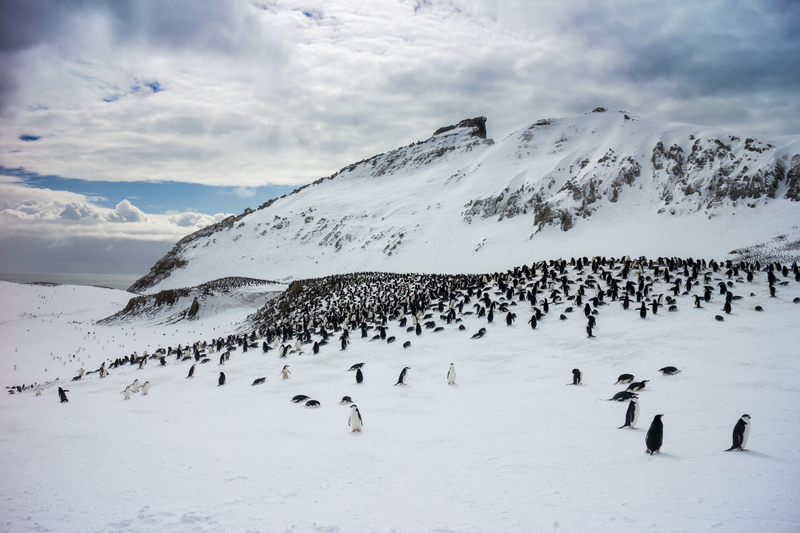 The most impressive sights were the huge colonies of Chinstrap Penguins - I have never seen so many animals gathered in one place. 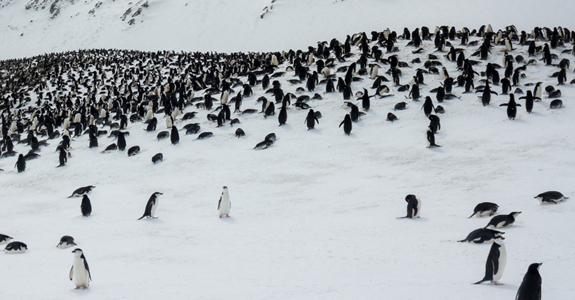 There were thousands, the noise was unreal, it is a sight I will definitely never forget. 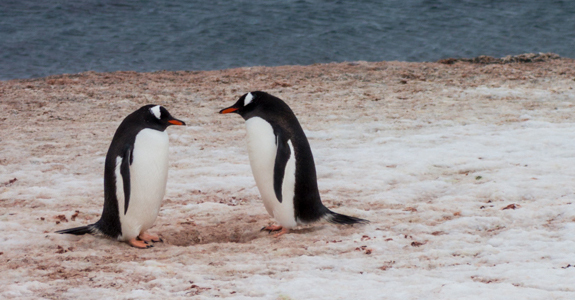 I found Chinstrap penguins to be less curious and slightly smaller than the Gentoo Penguins, however they were still fascinating to watch and photograph. 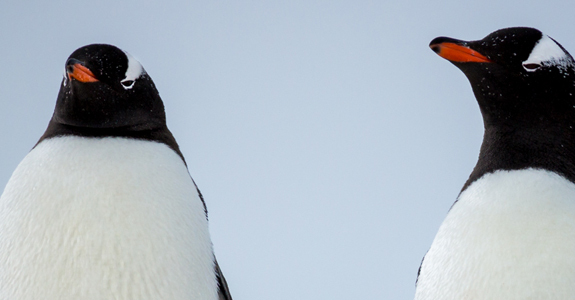 I love their characteristic black strap and beady dark eyes.